A few weeks ago, we told you that the Africa Internet Group, the mother company of Hello Food, Jovago, Lamudi, Easy Taxi and Kaymu had locked in 75 Million Euros from Orange which would see Orange establish partnerships with AIG subsidiaries to accelerate growth in Africa. The investment stake was preceded by another investment of 300 Million Euros from MTN, Rocket Internet, AXA and Goldman Sachs. African Internet Group companies have a presence in 23 African markets. 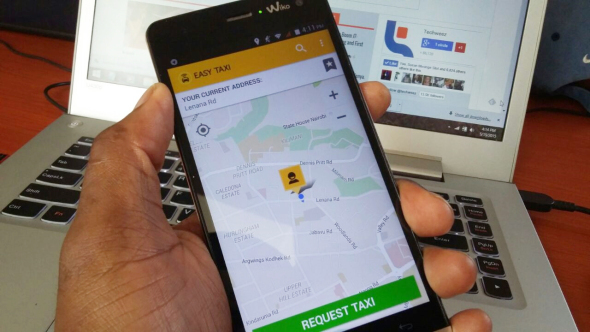 Reports reaching Techweez state one of the companies, Easy Taxi may be on its way out of the African market altogether. The move follows a similar move in Asia where the company completely shut its operations early this year with plans to concentrate on operations in its native Latin American markets. The company was at its peak last year operating in more than 420 cities worldwide with 16 of these cities in the African continent. According to sources, the Rocket Internet backed company wants to firm its presence in the Latin American market by increasing its presence in cities. Locally, Easy Taxi was seen as the main competitor to Uber and was already gaining traction. The company had a presence in Nairobi, Nakuru and Mombasa cities. The firm had managed to amass nearly 2,000 driver partners spread across the towns and recently unveiled an ambitious plan dubbed ‘1Billion for 1,000 drivers’ with KCB Bank to allow its driver partners to access asset financing. Our source, on condition of anonymity told us the firm has already notified employees of the planned decision. Customers will be notified of the plans soon and will be given a one month notice of the same, with Corporate customers first to be stricken down. Easy Taxi launched in 2011 in Brazil and expanded rapidly across the globe. The company has in recent times faced stiff competition from Uber, Ola Cabs in India and others while at the same time experiencing tough regulations in different markets across the world. Local users of car hailing services can use Mara Moja, Uber and even Mondo Ride. Knew it!! These guys were a total rippoff. Worst service i ever got from a taxi. Terribly old vehicles, drivers ignore your hailing even when you can see several nearby and my worst was the pricing – there isn’t an accurate model, the driver glimpses his phone to get the high estimate and vaguely tries to justify it. Uber saved me from that mess??? I love EasyTaxi. Their pricing was very straightforward, their app is the easiest to use and in the outskirts of Nairobi, they have more taxis than Uber. It will be unfortunate to see them leave.